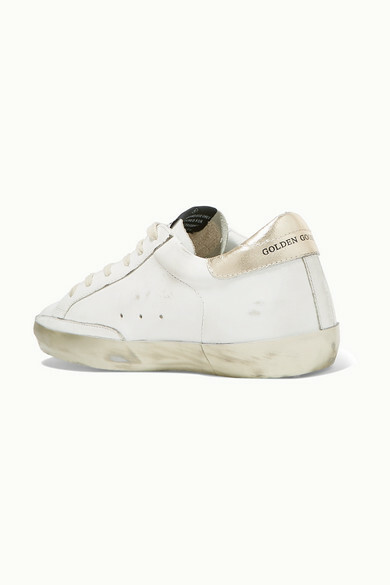 Golden Goose's cult 'Superstar' sneakers add such a cool feel to everything from tailoring to flowy dresses. 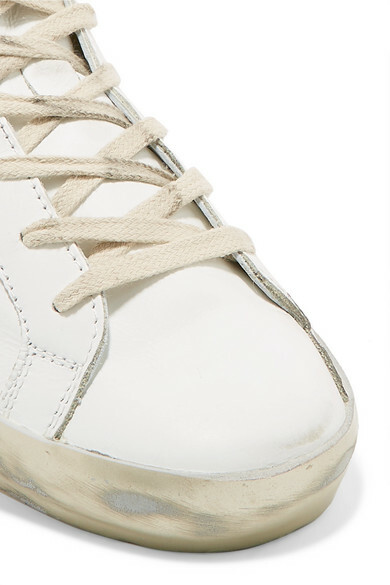 This white and gold leather pair is brushed and waxed by hand for an authentic, lived-in look and lined with soft terry for comfort. 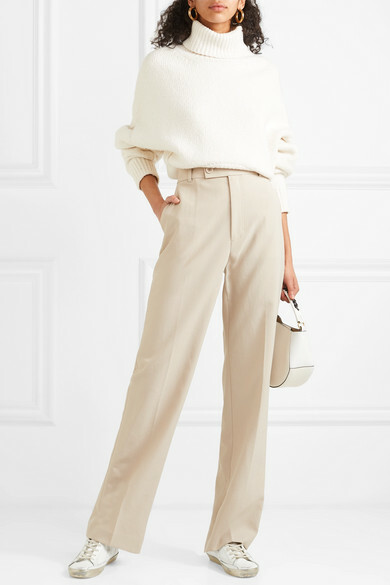 Shown here with: Golden Goose Deluxe Brand Sweater, Helmut Lang Pants, Wandler Shoulder bag, Maiyet Bangle.